Dedicated to the advancement of anti-doping science that enhances anti-doping detection and deterrence efforts, the U.S. Anti-Doping Agency (USADA) hosted the 17th Annual USADA Symposium on Anti-Doping Science, on September 28-October 1 in Chicago, Illinois. For the 2018 program, 90 attendees from 33 countries participated. During the Symposium, invited experts discussed highly relevant challenges in anti-doping science within the theme “Biomarker Discovery & Application to Doping Detection & Deterrence.” A biomarker in the context of anti-doping is defined as a characteristic that is objectively measured and evaluated as an indicator of normal biological processes, pathogenic processes, or pharmacologic responses to a doping intervention. The Symposium explored how traditional direct doping detection compares to efforts to discover, verify, validate and adopt sensitive and specific indirect biomarkers to facilitate effective target testing and detection. 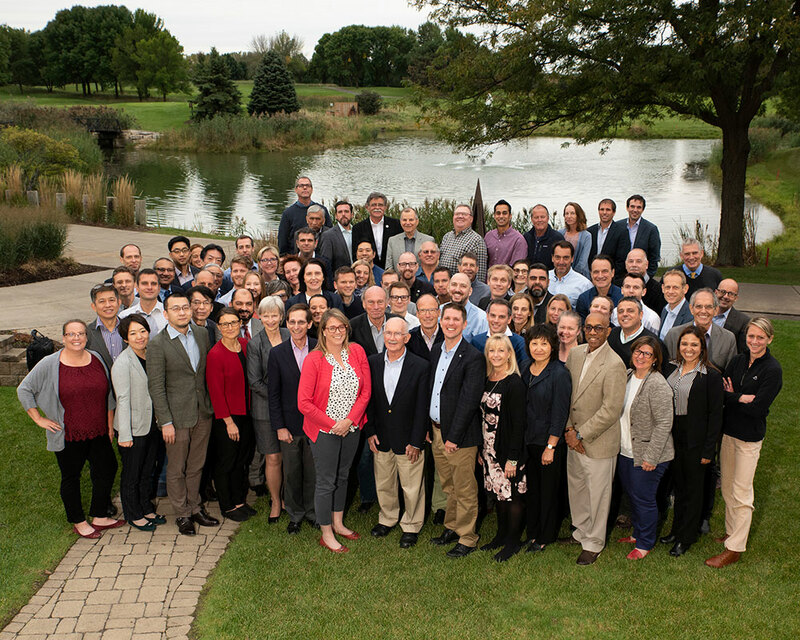 During the three-day Symposium, invited attendees addressed biomarker discovery, verification, and validation, as well as the application to anti-doping science. Sessions were grounded in a critical examination of the experiences of clinical research experts. The first day of the Symposium focused on biomarker discovery and the application to disease diagnosis, which was launched with a keynote presentation from Dr. Mark Benson from Beth Israel Deaconess Medical Center on ‘Integrating biomarker profiles for less impersonal medicine.’ Dr. Anindya Dutta also shared important insights into potential new biomarkers from microRNAs, which can be detected in blood. In the afternoon sessions, Dr. Richard Holt from University of Southampton and Dr. Jakob Mørkeberg from Anti-Doping Denmark also explored biomarkers in relation to GH misuse and blood doping. At the start of day two, attendees celebrated the presentation of the 3rd Annual Larry D. Bowers Award for Excellence in Anti-Doping Science, which was created to recognize and award the achievements of scientists who have made an impact on anti-doping scientific knowledge, approaches, and best practices. The award was presented to Dr. Matthias Kamber, former Director of Anti-Doping Switzerland. Day two of the Symposium covered the application of biomarkers in doping control, to include sessions on ‘Urinary steroid profile (ABP) in relation to natural variation and drug administration’ from Dr. Lena Ekström at Karolinska University Hospital and ‘Urinary Metabolomic Biomarkers to Detect Doping’ from Dr. Francesco Botrè from Laboratorio Antidoping FMSI. Dr. Peter Van Eenoo from DoCoLab Universiteit Gent-UGent also presented on ‘Improving the Steroid Module of the Athlete Biological Passport.’ Additional presentations, including an update on World Anti-Doping Agency (WADA) biomarker discovery projects from Dr. Reid Aikin, were followed by lively panel and participant discussions. The final morning of the Symposium was centered on alternate matrices and interdisciplinary considerations. Dr. Daniel Eichner from the Sports Medicine Research and Testing Laboratory started the conversation with a presentation on matrices that move beyond urine and blood, while Dr. Jordi Segura from IMIM Hospital del Mar Medical Research Institute explored growth hormone and erythropoiesis-stimulating agent biomarkers in relation to dried blood spot testing. Dr. Mark Rothstein shared a legal expert view on the classification of biomarker data and the impact of new global privacy laws with respect to the collection, privacy and protection, and sharing forensic data. Finally, USADA’s former Chief Science Officer, Dr. Bowers, wrapped up the Symposium with a presentation on strategies for anti-doping organizations in regard to implementing effective deterrence programs through indirect testing methods. The USADA Symposium on Anti-Doping Science has a long tradition of bringing together external experts, anti-doping laboratories, and scientific and medical experts from anti-doping organizations to discuss a timely and relevant scientific issue. The goal of the Symposium is to enrich the scientific expertise within the global anti-doping community, identify where the challenges lie, and develop ideas and solutions that can be built upon after the Symposium to advance anti-doping science that helps protect clean athletes and maximizes both detection and deterrence strategies. The USADA Symposium began in 2001 and has been held in a variety of cities within the United States and internationally every year.